I shot about 50% of my upcoming feature film on the Black Magic Cinema Camera. My verdict: Brilliant camera. Like many filmmakers and tech geeks I was waiting for an opportunity to use the BMCC, way before it was even released. Soon as I got the opportunity, I embraced it with both hands. Literally. 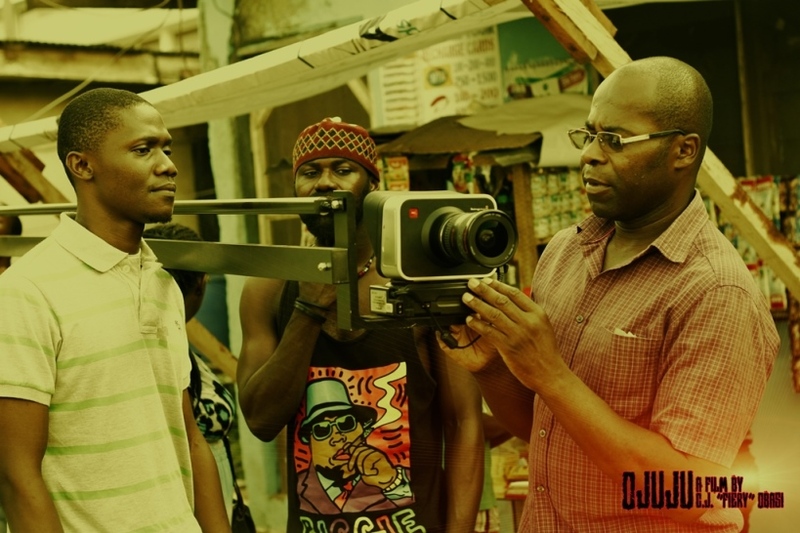 First, I was making a horror feature film “OJUJU” on a budget (mostly without a budget), and I had weighed first my pocket, obviously and the cons that come with shooting with a typical high-end digital camera such as a Red-Epic or an Arri Alexa without having access to world-class post-production equipment. 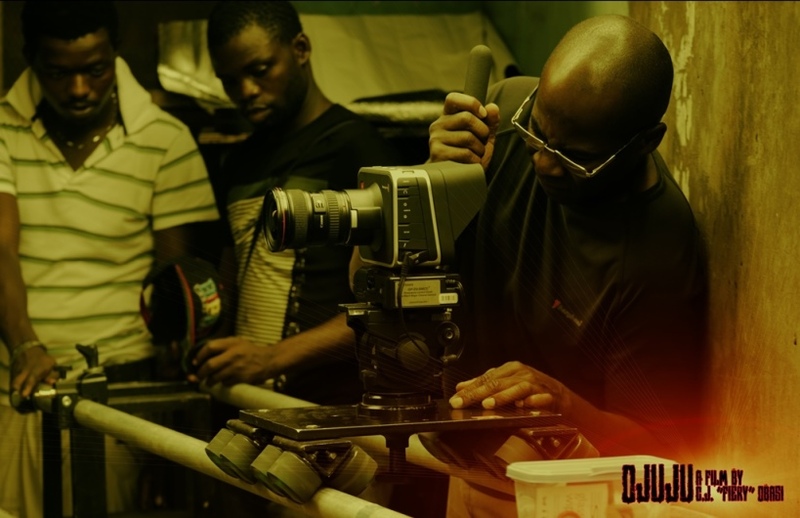 In my experience, besides the fact that they can afford it (I couldn’t) most filmmakers in Nigeria shoot on a RED because they want crisp pictures, and that’s fine. For me though, I wanted to shoot on a RED because I wanted to project a finished project on 4k. Now, realistically speaking, most filmmakers I know end up projecting in full HD (1080p) anyway, even after shooting on 4k. Which makes me wonder – what’s the point? Why would I spend all that money (which I don’t have, need I remind you) hiring a RED 4k and above camera, shoot, and then only to have a finished film in 1080p. Not to mention the post-production hurdles that you’re going to face when you’re not equipped to handle its post-production demands. I would rather save my money (again, which I don’t have), shoot on a BMCC, light properly, get my film look, and end up with easily manageable rushes that I can edit on the go, even on my laptop, as I see fit. I can have the entire rushes saved in a 1Tb external hard drive. Get an extra one or two, just for back up. But ultimately edit on the go, from one external hard drive. I don’t need a super computer to achieve this. I wish I had one. But I’m making a film on a budget, and as much as I would loooooove to have some Paramount pictures level type of editing suite, we make do with what we got. We’re gonna make pictures. Thanks to the French New Wave, Dogme 95 and John Cassavettes we can conceive an idea, script it, and get on real locations making our dreams come alive, edit it and voila, we have us a picture. And thanks to the BMCC almost any filmmaker can get that film look, without worrying too much about what happens after principal photography. 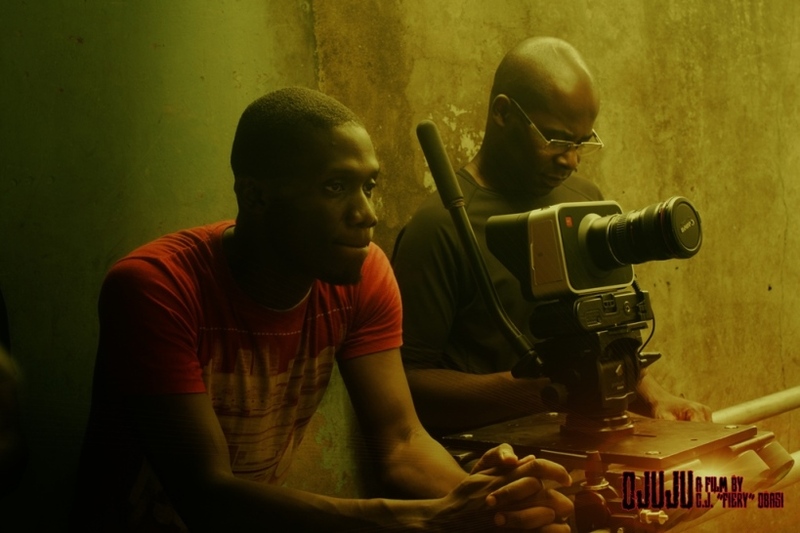 DOP Tunji Akinsehinwa who has worked on celluloid, as well as with high-end 4k cameras on International projects enjoyed using the BMCC for the first time. 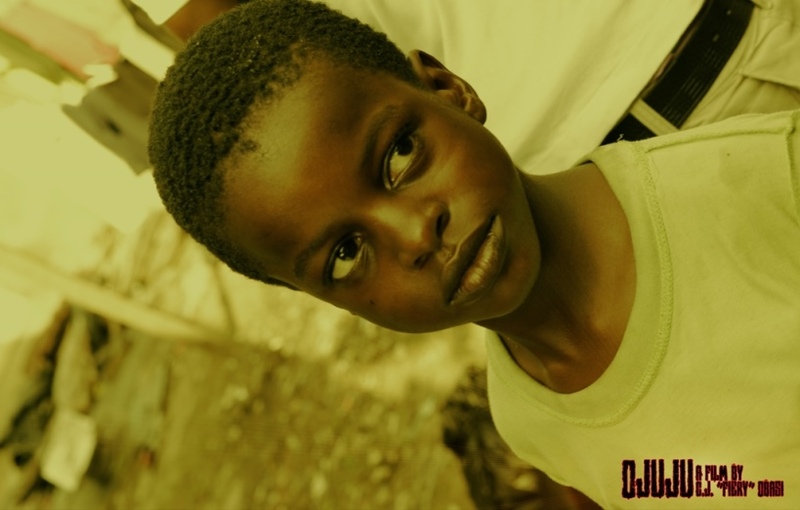 It was a joy seeing the images produced by the BMCC, especially as regards our 10 year old actor, Kelechi Joseph, playing the role of a little ghetto runt. The BMCC is a sleek machine with a 2.5K Raw DNG and 1080p ProRes capability. Its pictures have a peculiar film look, which you can achieve whether in Raw or ProRes format. Which for me is really ground-breaking stuff. It’s got an awesome User Interface, straight to the point kinda stuff. And the monitor’s big enough, just in case you can’t chuck out extra cash for a separate camera monitor. I wish I had the opportunity to shoot my entire film on the BMCC, but I didn’t. Don’t ask why, I only seized the chance when I had it. I would welcome every chance I get to shoot on it. I enjoyed it. But if the guys at Blackmagic Designs wish to win me over for life, all they have to do is one thing. Just one tiny weenie thing – they should just upgrade the fps capability of the Black Magic cameras to support ultra-slow motion shooting. And that my friends, would be knocking the ball out of the ball park.